Which iPhones, iPads, and iPods support iOS 10? Apple's latest mobile operating system arrives today, and here is a list of all the devices that support iOS 10. The iPhone 7 will ship out with iOS 10, but that doesn’t mean that you need a brand-new Apple device to install iOS 10. 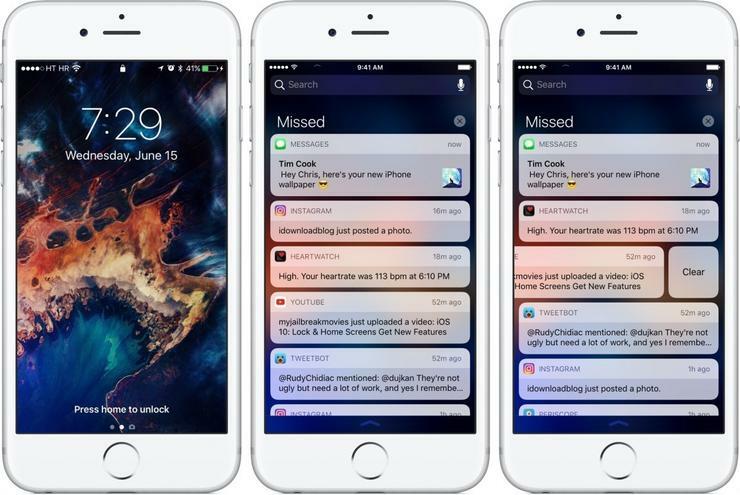 First previewed during WWDC, iOS 10 features a redesigned Lock screen, super-sized emoji and other iMessage apps, as well as Siri support for third-party services. After months in public beta, the official release of iOS 10 is finally here. 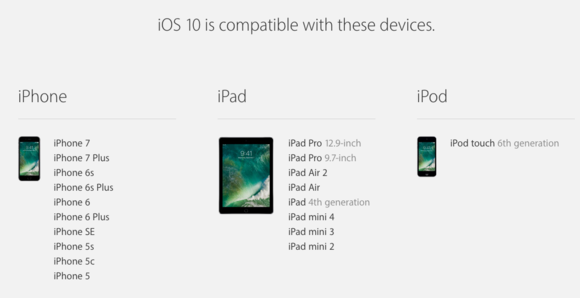 You can install the free upgrade right now, but only on a iOS 10-compatible device from the list below. To upgrade your supported device to iOS 10, go to Software Update in the Settings app. It should be available as an over-the-air update. As always, it’s smart to perform a backup before installing the new operating system, so that you can revert back should you encounter any issues. Still debating whether or not to upgrade? Here’s a list of articles to learn more about what iOS 10 has to offer. What happened to Apple Music in iOS 10?